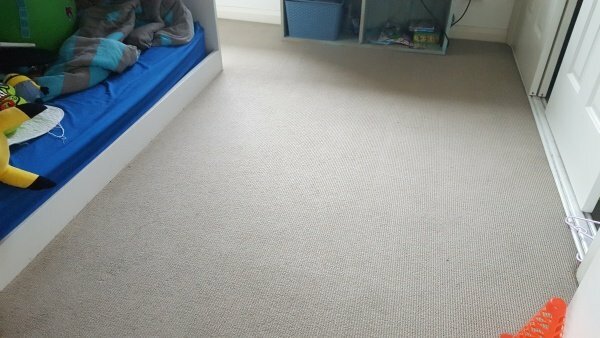 Dirty Bedroom Carpet In Gwynneville Restored! Your house should be one of the safest places for you and your family. When you think of things that can cause harm to your family, your carpets don’t usually cross your mind. Spot clean spills and stains. Avoid using “off the shelf”cleaning solutions; they may contain harsh chemicals that are dangerous for your kids or pets. 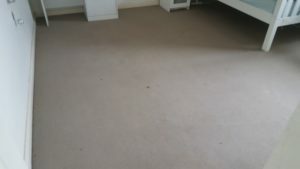 Schedule a professional carpet cleaner to deep clean your carpets every 6-12 months. 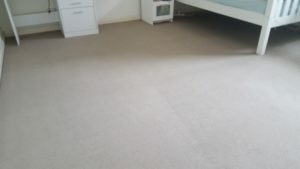 Before photos of the bedroom carpet in Gwynneville. 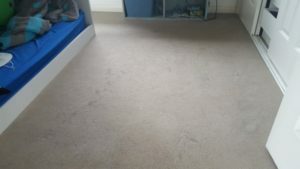 The photos do not do justice to how dirty the carpets really were. Next, he sprayed the carpet with Green Monster Pre-spray and used the scrubbing machine to distribute the product and agitate the stains. He waited 10-15 minutes for the spray to dwell. Finally, Jason used hot carbonation extraction along with a spot remover and Lavanderia to remove the stubborn spots and stains. These after photos show the carpet looks like new and smell fresh, clean and healthy.